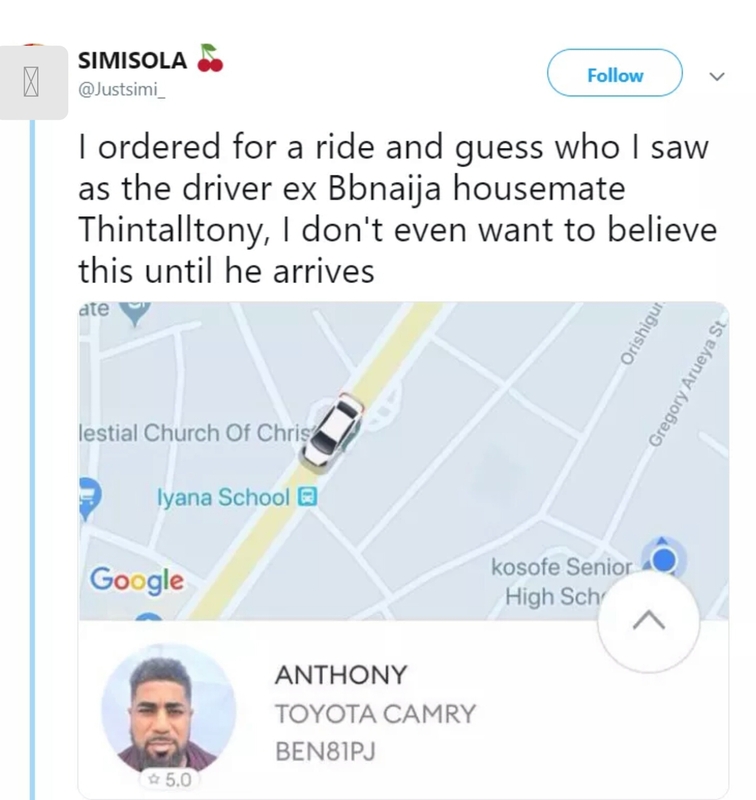 A Nigerian lady took to her Twitter page to react after she discovered that the driver of the Taxi she ordered online was former Big Brother Naija 2017 housemate 'Thin Tall Tony (TTT). 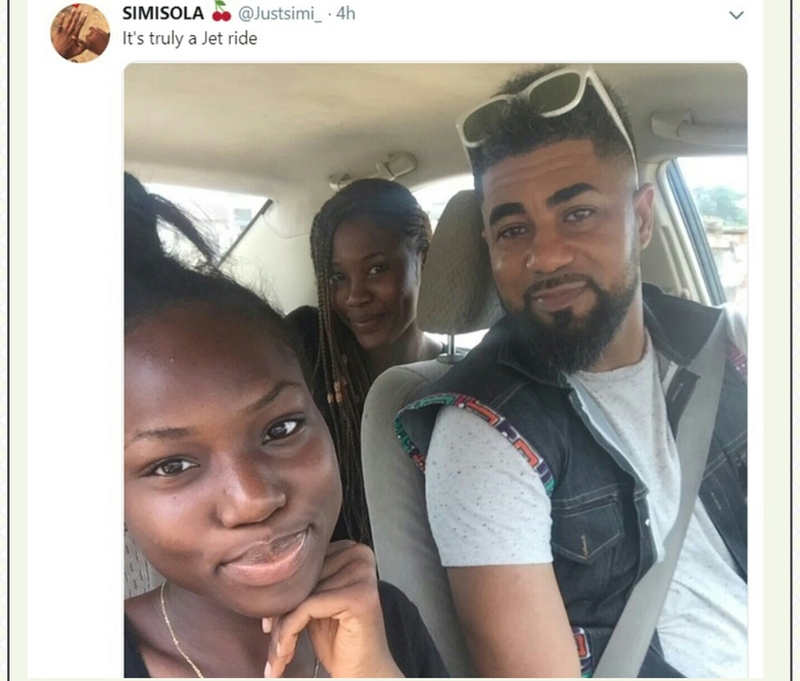 The excited lady revealed that after placing an order for a ride, she was surprised when the photo and name of the driver that came up was former Big Brother Naija star. "It's truly a jet ride"
"This is me being happy and not dragging him. 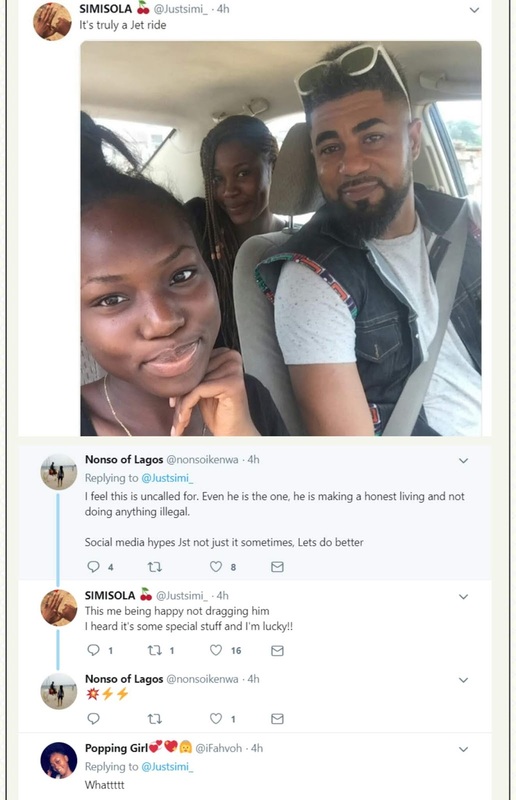 I heard it's some special stuff and I'm lucky"